Benefit from India’s World Class Hospital’s internationally recognised medical and surgical expertise, now used by a large number of overseas patients to overcome Thyroid problems. Advanced Minimally Invasive Laparoscopic Surgery (Also popularly known as Key Hole Surgery) is a safe option that helps the patient. The thyroid gland is located on the front part of the neck below the thyroid cartilage (Adam’s apple). The gland produces thyroid hormones, which regulate metabolic rate . Thyroid hormones are important in regulating body energy, body temperature, the body’s use of other hormones and vitamins, and the growth and maturation of body tissues. Hypothyroidism: This disorder attacks women more then men. Hypothyroidism under-actives the thyroid glands which results in less production of thyroid glands that leads to lots of weight gain, hypertension and other problems. This is a very common disease which occurs in many children and aged people. *Hyperthyroidism – Hypothyroidism over actives the thyroid glands which result in producing of much thyroid glands which leads to over stimulation (weight loss, tension, anxiety and others). *Postpartum Thyroiditis – After giving birth to a baby, a female’s thyroid glands may swell and turn larger in size. This type growth of glands to a very large extent is due to Postpartum Thyroiditis. 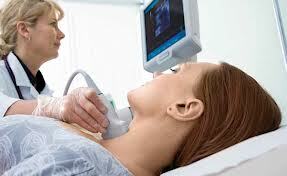 *Thyroid Cancer – Thyriod cancer is also of many times. This is due to the lump. Once you are effected to thyroid cancer there will be no other option then surgery. 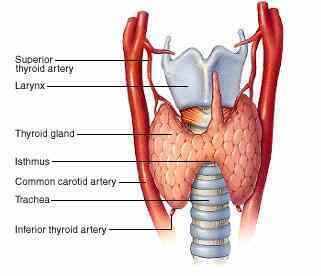 Total thyroidectomy is the most common of type of thyroid surgeries. With this surgery the entire gland is removed. Surgery of this type is most often used on the aggressive types of thyroid cancers such as medullary and anaplastic. It is also used in the treatment of uncontrollable hyperthyroidism/Graves’ and for goiters. When papillary and follicular thyroid cancer cells are found in both lobes a total thyroidectomy will be performed. Partial/Subtotal thyroidectomy is the operation when only a portion of the gland is removed. 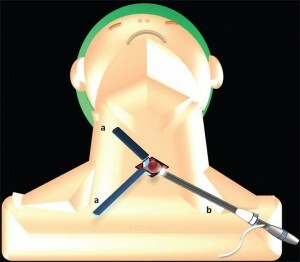 Occasionally the isthmus and a piece of the second lobe may also be removed. This operation is used in small and non-aggressive thyroid cancers such as papillary and follicular. The thyroid cancer is contained to the one lobe only. Completion thyroidectomy: removal of any remaining thyroid tissue.A completion thyroidectomy is usually done after a thyroid lobectomy reveals cancer in the first half of the thyroid but may also be done for multinodular goiter or hyperthyroidism. After a completion thyroidectomy, patients will need to take thyroid hormone replacement pills (one pill a day for the rest of their lives). Minimally invasive surgery is also known as endoscopic surgery. 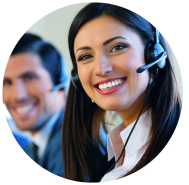 You also may be familiar with terms like laparoscopic surgery or “keyhole” surge ry. These are minimally invasive procedures that utilize an endoscope to reach internal organs through very small incisions. During endoscopic surgery the surgeon inserts a thin, flexible tube with a video camera through a small incision or a natural orifice like the mouth or nostrils. The tube has a channel to utilize tiny surgical instruments, which the surgeon uses while viewing the organs on a computer monitor.This technique allows the surgeon to see inside the patient’s body and operate through a much smaller incision than would otherwise be required of traditional open surgery.